Citrix XenApp Essentials is now available on Microsoft Azure. Citrix XenApp Essentials is replacing Microsoft Azure RemoteApp and customers can now benefit the technology from Citrix in a simplified portal on Azure to deliver published apps to any device from any Azure datacenter. Citrix XenApp Essentials is the fastest and easiest way to securely deliver Windows apps from Microsoft Azure to any device. This unique application virtualization service combines industry-leading XenApp technology with the power and flexibility of Microsoft Azure to provide a simple, prescriptive, and easy-to-consume app delivery solution. Citrix and Microsoft deliver an integrated experience that simplifies onboarding for XenApp Essentials and Azure IaaS, providing a single interface to design, deploy and deliver virtualized Windows apps from Azure. Citrix released Feature Pack 2 for Citrix XenDesktop & Citrix XenApp. The Feature Pack 2 release includes the following new and enhanced features. Unified Receiver provides modern, centrally-managed and customizable user app selection experience across all user devices. Google Chrome Support without NPAPI. Delegating Authentication to XenApp and XenDesktop when there is no AD trust between sites. Treat All Desktops as Applications to apply Workspace Control and group icons together. 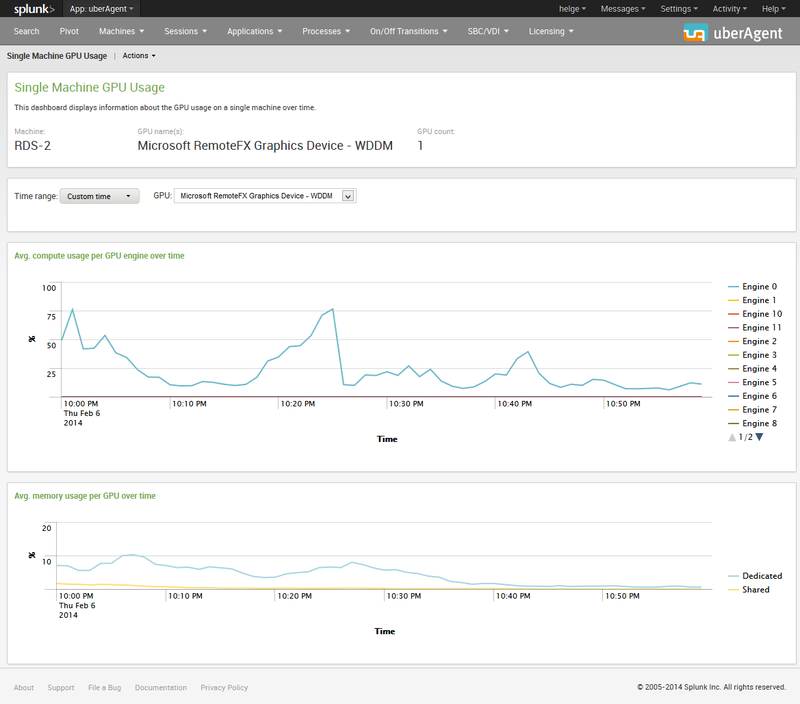 Integrated Monitoring Service enables NetScaler to monitor StoreFront. Extended Store Customization SDK for business logic. Simplified application organization — Familiar and consistent application selection experience for use. Featured app groups. Administrator configured applications that are logically grouped and advertised to users in the applications selection experience. Folder view of applications. Return of Web Interface functionality in StoreFront. Favorites. Easily add or remove applications to Favorites for quick access. Server-managed user experience — Application selection experience is server configured. Change once, deploy everywhere. User application selection experience changes are made by the administrator on StoreFront server. Consistent application selection experience for user. Any device running Receiver receives its application selection experience from the server as HTML5, providing for consistency as users move across smartphones, tablets, and desktop form factors. 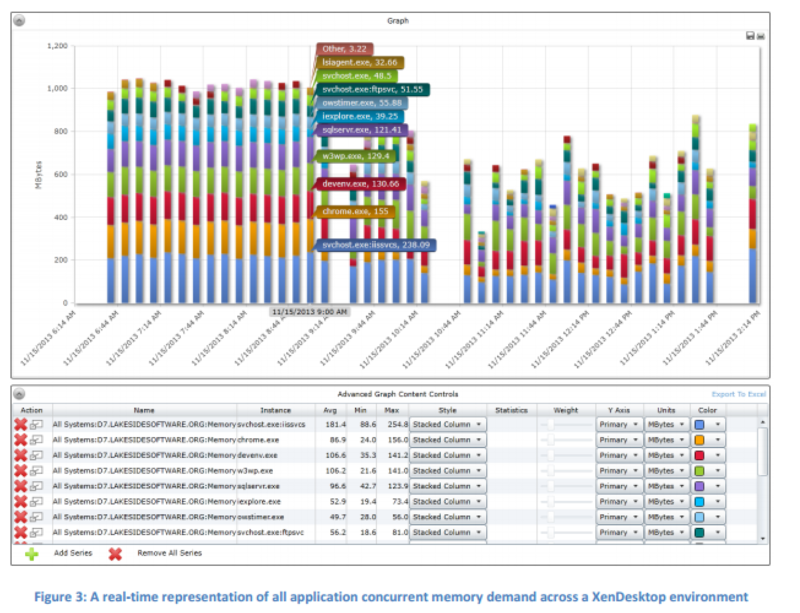 Decouple the application selection experience from Receiver capabilities. Client upgrade without end user training or user experience impact; Support legacy user experience without legacy client cost. Fit for purpose user experience customization options — You select the appropriate level of customization. Updated out-of-the-box user experience. Modernized end user application selection look-and-feel. Server-configured branding customizations. You brand with corporate logos, color, and featured application groups. Deeper customization and branding options. CSS and script APIs available to enable deeper levels of customization. Set Receiver for Web as the default for the store. Create a Receiver for Web website. See the Support for Receiver for Web article. Featured app groups management — App groups are groups of applications that are related or fit in a specific category making them more easily discoverable. With Studio and the StoreFront management console you can define app groups using keywords, application names, or categories. See the Create and manage featured apps article. You can configure StoreFront to use the XenApp and XenDesktop XML Service to authenticate the user name and password credentials where a user explicitly provides a user name and password. Use PowerShell cmdlets to enable and disable this feature. For more information, see XML service-based authentication. HDX RealTime Optimization Pack includes the following new features and enhancements. Support for the Microsoft Skype for Business client in Lync UI mode, the Microsoft Lync 2013 client, and the Microsoft Lync 2010 client. Support for the Lync Server 2013 Autodiscover Service. Call Park and Call Pick Up in Lync 2010 client. Plus (+) symbol in the dial pad. Support for the Microsoft Windows 10 technical preview. For information, see HDX RealTime Optimization Pack 1.8. You can specify the connection credentials to the database when installing the Session Recording Database component. You can test the connectivity of database during the installation of the Session Recording Database and Session Recording Server components and test the connectivity of the Session Recording Server during the installation of Session Recording Agent component. Microsoft Shared Management Objects is no longer requirement for Session Recording Database installation. 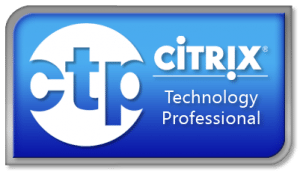 Citrix Experience Improvement Program (CEIP) is integrated in Session Recording. For more information, see About the Citrix Customer Experience Improvement Program. For more information, see Session Recording – for XenApp 7.6 FP1 and FP2 only. You can now create Linux virtual desktops based on SUSE and Red Hat distributions. Prepare your Linux virtual machines, install the new Linux VDA software on them, configure your Delivery Controller, and then use Studio to make the desktops available to users. For more information, see the following documents. 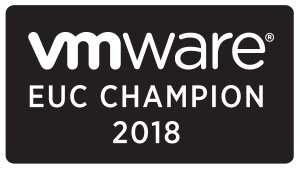 Framehawk is a new ICA virtual channel that extends Citrix HDX technologies, a set of capabilities that work together to deliver a high-definition user experience of virtual desktops and applications. The Framehawk virtual channel optimizes the delivery of virtual desktops and applications to users on broadband wireless connections. It is ideal for mobile devices under lossy network connections. With Framehawk integrated into the industry-leading HDX technology, Citrix provides a smooth and intuitive user experience in conditions where remote workspace users previously experienced poor interactivity, such as on wireless connections with high packet loss or congestion. For more information, see the following document. This version of Director supports the Framehawk virtual channel. 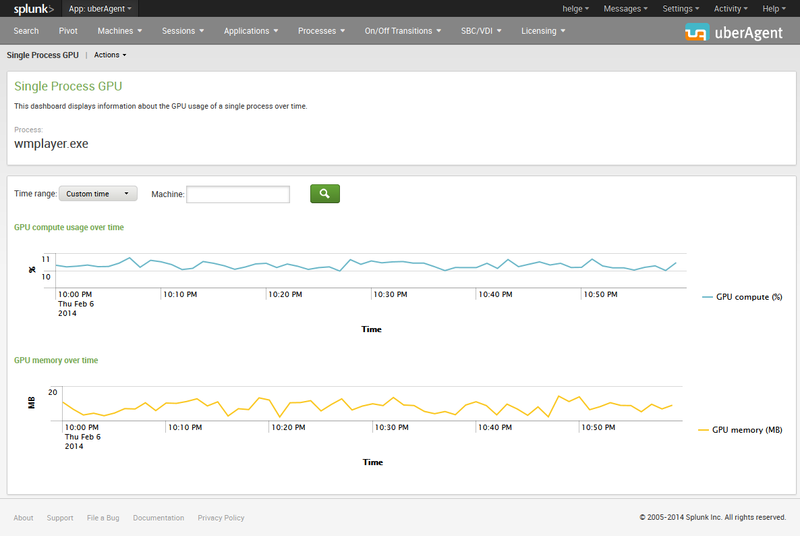 You can display HDX graphics information, which lets you monitor and troubleshoot any session that uses the channel. This is a major release that contains new version of many new software components. I have in this article included all new product releases to give you an overview what is released related to XenDesktop & XenApp 7.6 solution. I am very excited to share this great news with you all. I did a webinar with fellow CTP Trond Eirik Håvarstein from XenAppBlog.com, and we had a special guest surprise Jeroen Van De Kamp CTP and CTO, LoginVSI announcing ground breaking stuff in the webinar. We had over 700 people signed up for the Webinar, if you was among the crowd that missed the opportunity to see the webinar here is your chance, the webinar is now available for everyone for free. There was a lot of Q/A and I will the next couple of days reply to all the Q/A and make them available in this article. 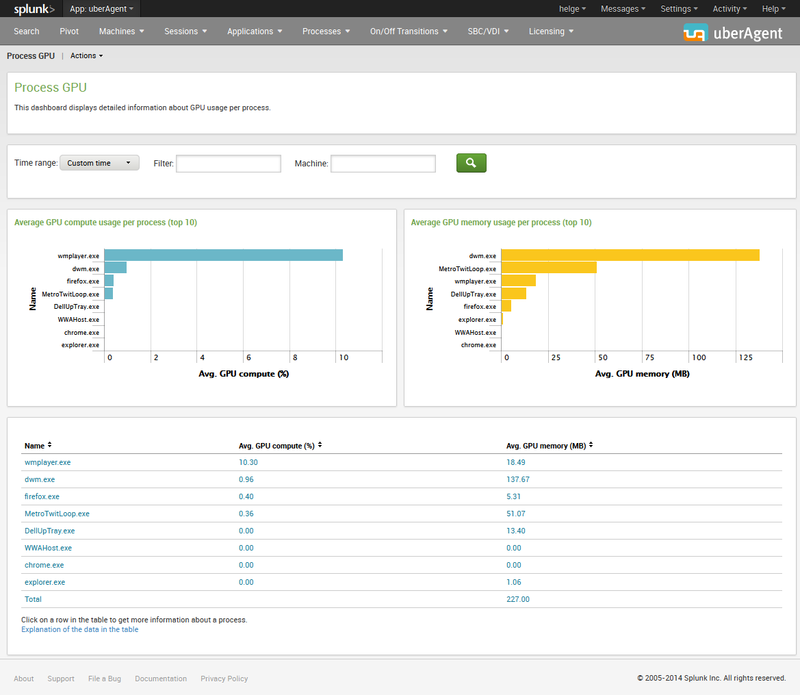 Summary of webinar product announcements from LoginVSI, Lakeside Software, Uberagent for Splunk. LoginVSI is working on next version that will support benchmark, capacity planning, stress testing the “missing component in virtualization” GPU. 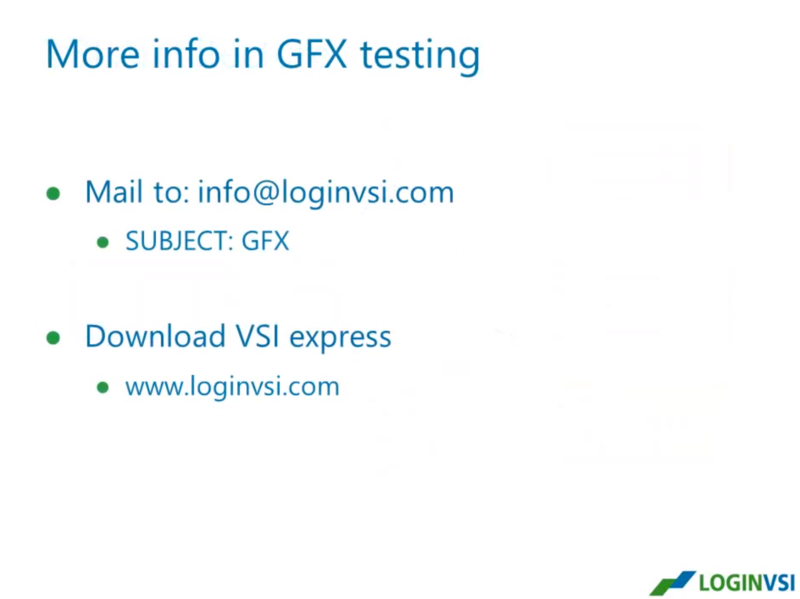 If you are interested you can write to get access to the beta version of LoginVSI. Another groundbreaking product announcement was from Lakeside Software, they are about to release version 7 of Systrack that will support NVIDIA GPU Monitoring/assessing. The transformation of an existing software portfolio first begins with the identification of all of the actively used software packages in the environment. 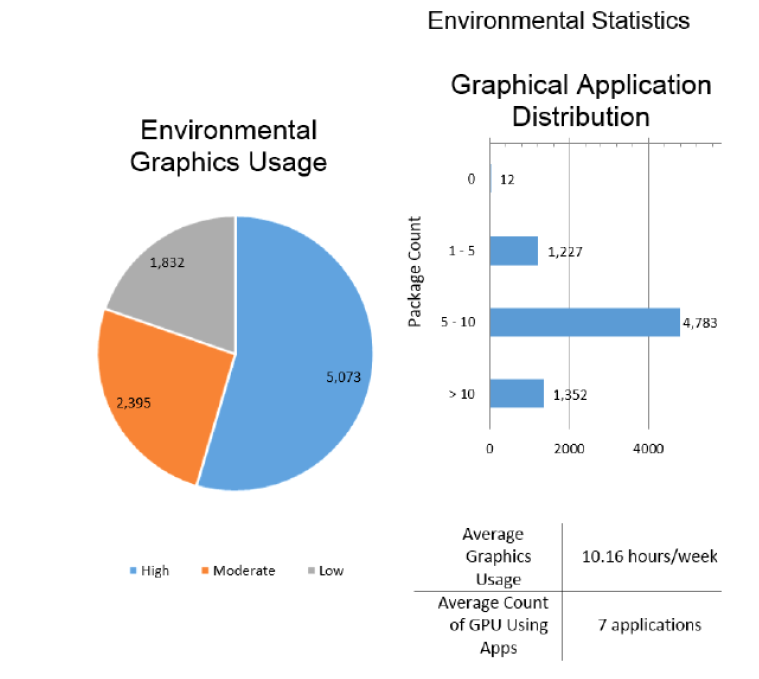 The added complication in the case of a project to begin advanced application delivery is the need to understand multiple facets of usage: resource consumption, graphics utilization, frequency of use, user access habits, and mobility needs. Because the state of IT is already so complex it only becomes possible to fully understand and plan with a complete set of descriptive information that really characterizes the unique aspects of every environment. Of particular interest is the ability to first identify applications that have GPU demands, and then begin to segment them into tiers of utilization. SysTrack continually collects information about software packages as they’re used and normalizes all data points for cross platform comparison. One of the key performance parameters that’s identified in this process is a graphical intensity measure (Graphics Index) that provides a way to identify those applications in the portfolio that have higher GPU demands than others. With this critical information it becomes possible to segment the portfolio into groupings based on their requirements for specific resources. By tying a general sense of which applications have peak demand to total length of usage it becomes easier to start developing a portfolio made up of different combinations of usage styles. This includes separating applications that may be used by a small set of the population with intense requirements versus widely used applications with a smaller footprint. Of course, this also allows for much deeper analytics centering on the behaviors of users that is quite important in planning the GPU profiles in use in provisioning. Figure 1 displays this relationship in a bubble chart format, this format groups applications based on their similar characteristics presenting clusters of similar applications in larger bubbles. 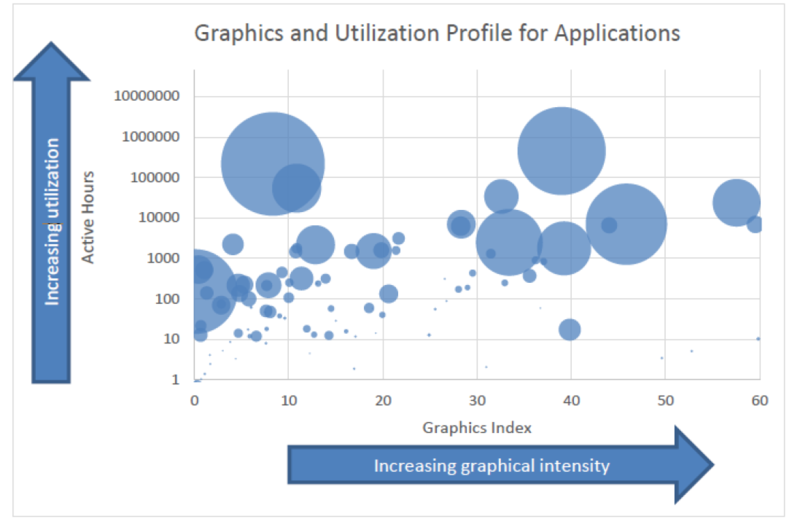 The vast majority of applications exist in the “low graphics demand – Low Time Active” area in the bottom left, while only a select few have either high graphics demand or high time active. A natural expansion of this is grouping users into distinct workload types to understand how best to configure the profile types and GPU assignments for users. Once the target applications and users have been characterized and a plan has been developed it’s critical to begin the process of sizing the environment. This includes determining the architecture, sizing the desktops and servers that will be worked with, and identifying resources that will be required to support the needs of the planned deployment. 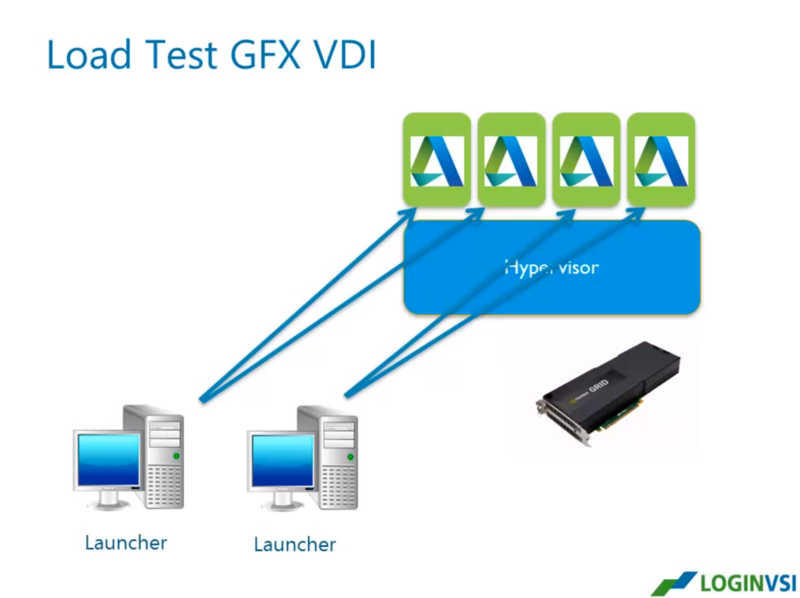 This information creates an easy to use design for a set of user profiles, both for the actual desktop delivery and for the vGPU assignment. By ensuring the best possible analysis of the environment prior to the actual deployment the end-user experience is much simpler to forecast and control. This results in higher end-user satisfaction and a shorter transition time. Another key feature introduced in SysTrack version 7.0 is the result of close collaboration with NVIDIA to leverage APIs presented in the guest operating system. 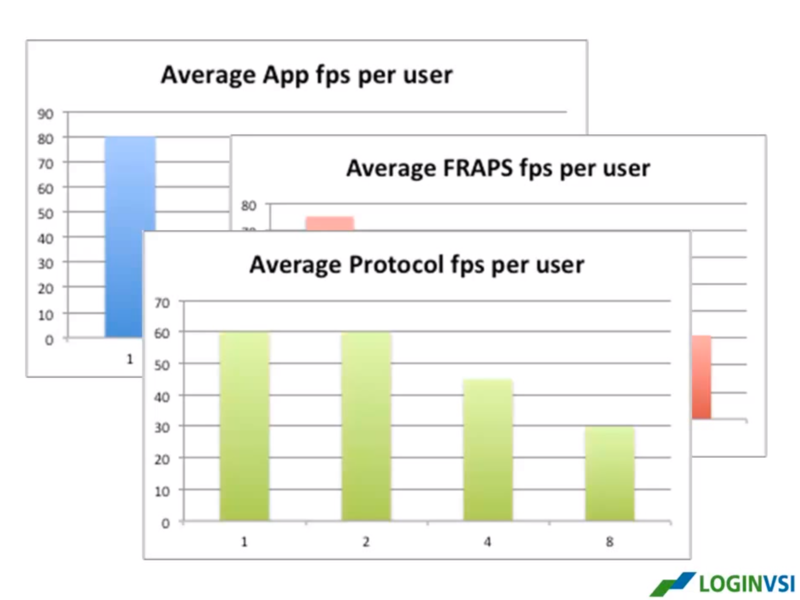 This allows the capture of detailed GPU performance metrics to correlate vGPU consumption to end-user service quality. Specifically, with NVIDIA drivers present in the guest OS or on a physical system, the GPU utilization and key metrics (see table 2 for a sample of selected metrics) from the graphics card can be captured and analyzed in the same way as CPU or other system metrics are currently in SysTrack. In Systrack 7 after provisioning users in VDI environment the IT admins can monitors performance, which enables to optimize density over time. This completes the set of KPIs used in SysTrack to calculate the end-user experience score, including categories like resource limitation, network configuration, latency, guest configuration, protocol specific data for ICA, and virtual infrastructure. With a complete set of relevant information the proactive and trending health analysis provided in SysTrack yields a thorough analysis in an easy to understand, quantitative score that summarizes performance on an environmental, group based, or individual system level. Use this data to accurately plan and size GRID and HDX 3D Pro deployments based on actually observed usage and utilization. 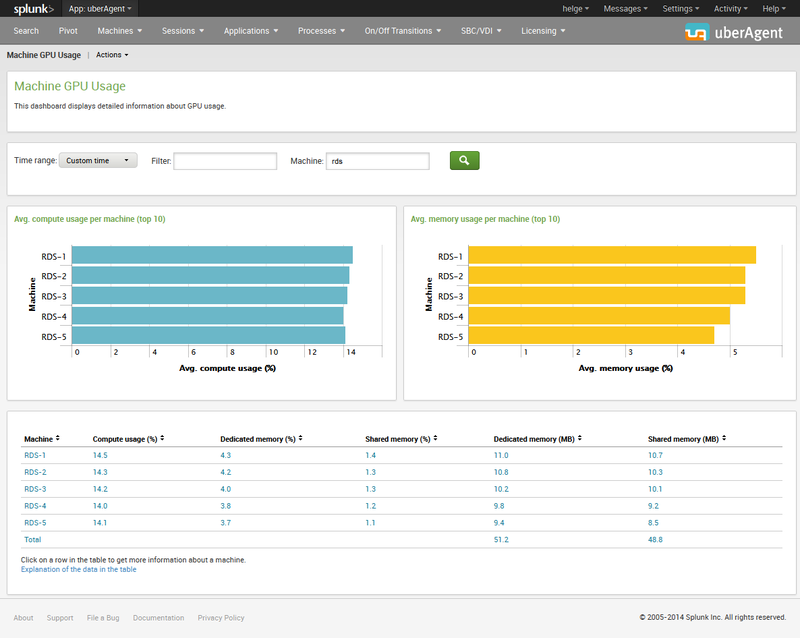 Helge Klein have developed a new version of Splunk that now supports monitoring of GPU, this was a feature request I talked with Helge Klein about in 2013, and I am so happy to see the results what he have done with UberAgent for Splunk, lets dig in what it can do. uberAgent shows compute usage per GPU engine. The various GPU engines serve different functions, e.g. 2D acceleration, 3D acceleration, video decoding, etc. 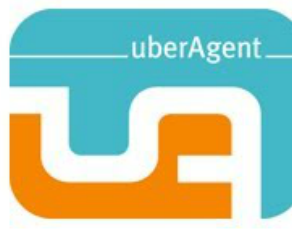 For more information visit uberAgent’s website. I am very excited to share my findings of some of the things I do in poppelgaard professional services. Feel welcome to contact me at thomas@poppelgaard.com if you are interested in using my professional services and you need help with GPU solutions. You will see more upcoming blogs from me covering this topic. 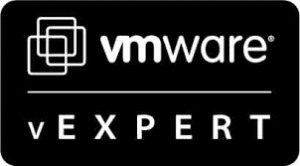 End User experience, assessments of GPU workload, scaling/sizing, benchmarking, hardware supported, GPU side by side experience, Hypervisor vs Bare metal with a GPU. Watch out for cool things….